The scientists also discovered that phospholipids compete with glycolipids, another type of molecule that helps form cells' outer membranes, in a way that prevents glycolipids from readily reaching the surface of a cell. Cell membranes are primarily made up of two types of lipids—phospholipids and glycolipids. Inside cells, these lipids bind to a molecule called CD1d that transports them to the surface. Once there, phospholipids stimulate phospholipid-reactive T cells, and glycolipids stimulate a different type of T cell called iNKTs. On their way to the cell's surface, phospholipids more easily attach themselves to CD1d molecules, making it more difficult for glycolipids to attach to CD1d. Because of this, it is harder for glycolipids to make it to the surface of the cell. This means that iNKTs cannot be as easily stimulated by glycolipids. 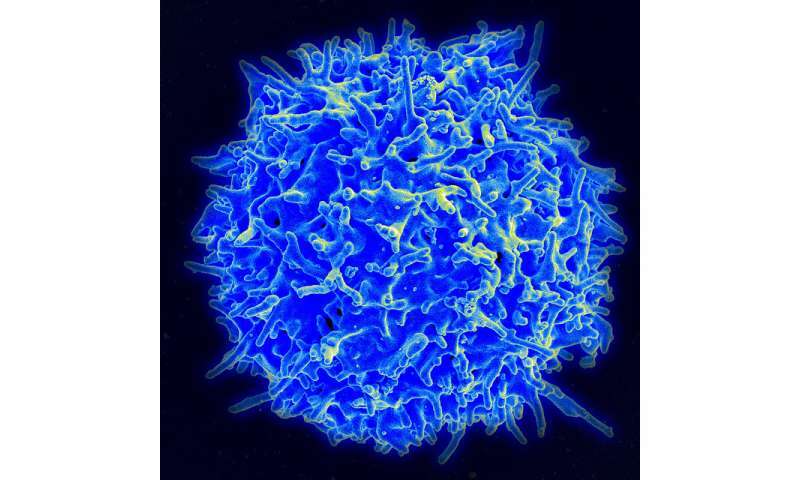 Scientists believe iNKT cells are necessary because they appear to protect cells against the progression of certain cancers and autoimmune diseases. However, iNKT cells are extremely active and can cause alcoholic hepatitis or other types of liver diseases if they are overstimulated. The phospholipid's ability to more easily bind to CD1d molecules than glycolipids keeps a balance between the two cell types and maintains homeostasis in the immune system.